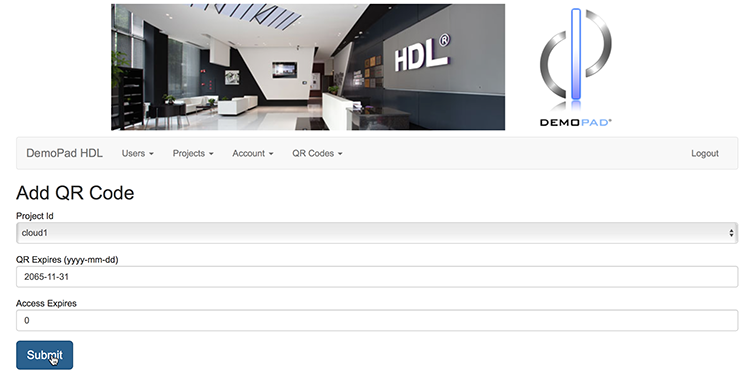 HDL project deployment is accomplished via the cloud system. Each HDL project which you create is stored on our cloud servers, so once you have set up and commissioned your HDL system the details will be automatically saved to the cloud server. You can then log in to the cloud system via your web browser to generate a QR code in order to deploy a specific project to end user devices. It is possible to have multiple systems deployed to the same end user device - for example if an end user has both a ‘Home’ and ‘Work’ HDL automation system. QR codes have an expiry date (a date after which they will no longer download a project) and also an access expires number of days - a period of time after which the control of the system will no longer work (for example in a hotel room - the QR code allows someone to control the room for 1 day). 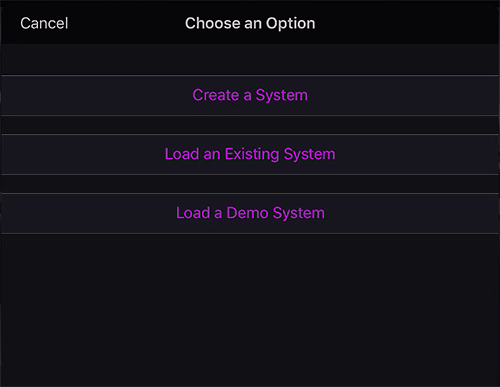 Once you have the QR code, you can add a system to the free HDL Control app, available from iTunes using the Systems - Add System - Add Existing System menu option.